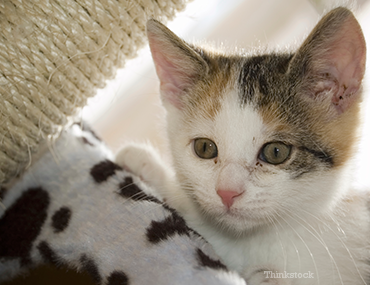 If you own a cat, this blog is a must read! 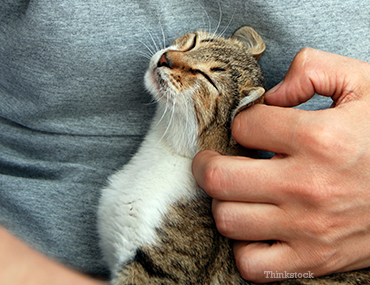 Before applying any topical flea and tick medication to your cat, pay heed. The flea and tick topical spot-on medication most commonly implicated? Drugs from the pyrethrin and pyrethroid family. These active ingredients are commonly found in household insecticides, sprays, and topical spot-on medications. These chemicals are very safe for dogs, but should never be used for cats. Many of these active ingredients are used in high concentrations in flea and tick topical spot-on medications for dogs without any problem; however, in certain species (like cats and fish), this high level of a concentrated pyrethroid can result in severe poisoning. Other sources of these chemicals include household insect sprays and topical flea sprays and shampoos; however, these are typically in very low concentrations (<1% pyrethrins or pyrethroids) and are generally safe for cats and dogs. Unfortunately, cats have an abnormal liver metabolism and cannot handle high concentrations of pyrethroids (or other drugs). As a result, cats develop poisoning when exposed to these chemicals. If you accidentally applied dog flea and tick medication to your cat, contact your veterinarian, an emergency veterinarian, or an animal poison control center immediately. The sooner you treat it, the less poisonous it may be and the less expensive it may be to treat. As mentioned above, your veterinarian can decontaminate your cat quickly and efficiently to remove the chemical. If your cat has clinical signs (e.g., tremors, seizures), hospitalization is a must to stop the tremors with muscle relaxants (e.g., methocarbamol) or antiseizure medication (e.g., phenobarbital, valium). These medications should only be administered by a veterinarian, unless otherwise directed by your veterinarian. In addition, further treatment from your veterinarian may include intravenous fluids, blood sugar monitoring, temperature support and monitoring, and blood pressure monitoring. When in doubt, never apply a product to your pet without carefully reading the product label. If you’re not sure, check with your veterinarian first. Also, make sure you know the accurate weight of your pet before you apply any medication; pet owners often erroneously “guess” their pet’s weight, resulting in under-dosing or more commonly, overdosing with medications. When in doubt, talk to your veterinarian about the safest type of flea and tick medications to use on your cats and dogs. If you own both species, you should separate your dog from his buddy cat until the spot-on product is completely dried so you can prevent chemical exposure to your cat. Finally, help save those fish out there and protect the environment – never let your dog jump right into the lake, pond, or ocean after you apply a flea and tick medication – wait at least 24 hours for the product is dry. Otherwise it can result in poisoning of the fish in the water. Keep all species safe by knowing these tips!